Bulgaria experienced a rapid economic growth in the last few years, especially since the country became a member of the European Union in the late 2000s. Presently, the employment rate stands at 53%. With an expat population of 1%, foreign nationals hoping to work in the country might find it quite a challenge to land a job in Bulgaria, especially since Bulgarian companies will give priority to local candidates first. Companies who wish to employ a foreign national must be able to provide evidence first that they have exhausted all means to look for a qualified Bulgarian candidate for the job position, but failed to find one. Only then can the expat be acknowledged for the position. Also, most companies and businesses operate and converse in the country’s official language, Bulgarian, so foreign nationals who possess adequate communication skills in said medium have more advantage than those who don’t. Learning Bulgarian and the Cyrillic alphabet will not only be helpful for expats working in a Bulgarian workplace but also useful when communicating with locals or reading road signs. With an employment rate of 53% and an expat population of 1%, most foreigners who have relocated to Bulgaria are employed in the healthcare and computer technology sectors. 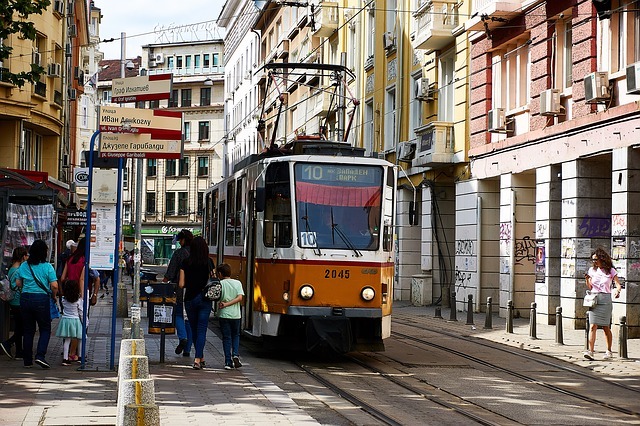 Sofia, Plovdiv and Varna are the three major Bulgarian cities where foreign nationals can look for work since these are where most jobs and large-scale businesses operate. Major Job industries in the country include the electricity, gas and water; food, beverages, tobacco; machinery and equipment, base metals, chemical products, refined petroleum and nuclear fuel sectors. Those who possess specialist skills and are fluent in the English language may try to apply in multinational companies in the engineering sector or to those that specialise in translation. Other employment opportunities for expats who do not have knowledge of the Bulgarian language or do not possess specialist skills can be found in tourism, education (especially English teaching), and property industries. Foreign nationals should take note that part-time jobs in Bulgaria are relatively rare. In September 2016, the average monthly salary in Bulgaria increased from 923 BGN to 954 BGN. The minimum wage in this country are benchmarked using a monthly average and is regulated and determined with a Decree of the Ministry of Councils in Bulgaria. Average working hours is 44 per week where the standard is 40 and the maximum is 48. Cost of living in Bulgaria is low. Of course, this is just one reason why many people are starting to discover how comfortable life can be in this former Soviet republic. All individuals working in Bulgaria are subject to pay an income tax rate of 10%, which employer deducts from the employee’s monthly salary. Bulgaria has a Double Taxation Treaty with various countries that will provide tax relief to certain foreign nationals working in the country. A typical Bulgarian workplace is formal in the atmosphere, but people don't necessarily dress to impress. Basic business etiquette simply requires decent attire. People don't have to be given instructions to do something and everyone is expected to know their job without being reminded. Everybody calls everybody by a Ms. or Mr. followed by the person's surname. In general, Bulgarians can be very serious about their jobs but they don't take offence when somebody has to attend to a personal issue. For example, during meetings, using a mobile phone is allowed. Although language issues could be a problem when seeking medical, dental and other basic services, a good knowledge of English and/or other foreign languages such as German and Russian is considered an asset for any expat working in Bulgaria.